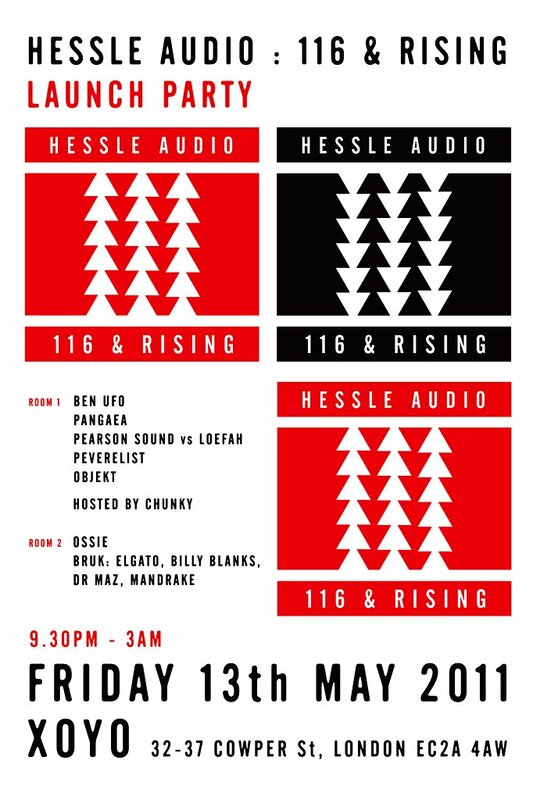 Tomorrow night, London will celebrate the launch of the hugely anticipated “116 & Rising” compilation from the Hessle Audio family at XOYO. You shouldn’t even have to hear the lineup to work out if you’re going or not; this is possibly the biggest moment in Hessle history and if you want to share in that moment then you need to head to XOYO and shimmy. For those that are yet to hear of “116 & Rising”, it’s a 3xLP / 2xCD compilation consisting of an albums worth of newness and an albums worth of archive digging. With tracks from the likes of Ramadanman / Pearson Sound, Pangaea, Addison Groove, James Blake, Blawan, Joe, Randomer (featured on his mixtape “012: Randomer“) and Untold to name a few, this is going to be an insanely good release. Head down to XOYO tomorrow night between the hours of 21:30 and 03:00 to party. Make sure you head to a good record store and purchase “116 & Rising”, preferably on vinyl (as you get the CD’s free with that anyway) like I just did from Boomkat.